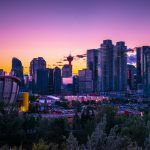 Search for "Calgary photographer" - Calgary Commercial Photographer | Landscapes and more, come explore! Excited to share some incredible work from my trip to Iceland! I literally got back yesterday and have so many cool shots, stories, and pictures to share! Right now if you follow me on Instagram @Calgaryphotographer – You can see one picture and a video. Iceland Air (Which was one of the best airlines I’ve ever flown with) had ‘northern lights’ throughout the flight on the way up. Outside the window we were treated to a northern lights show out the window 35,000 feet in the air above the clouds, it was incredible. An image from Bruorfoss, one of the many incredible waterfalls scattered throughout the island. Stay tuned for more on our trip from Calgary to Iceland, but finally here’s a sneak peak. Hey Folks! I’ve got some sweet shots to share! I went out a few weeks ago after walking my dog at the dog park and noticing a stream of bright aurora lights covering the city sky. I quickly packed my gear, made sure I had my tripod, some batteries, memory and ripped out. I was planning to go alone, but my fiance was nice enough to tag along and keep me company (it was nearing 11:30 before we got out the door) but we’re in the deep south so we’re not a huge drive out of getting to Bragg Creek. I’ve gotten some great feedback on the shots, a good friend of ours actually showed them to a few Oscar winning producers and they raved about them, asking for copies, it’s one of the more flattering pieces of feedback I’ve ever received and I’ll hopefully be sending them their way and getting a shot of the work hung/displayed! Anyways enough of all that, here’s the work! This first shot is my favorite, the vibrant colours stretching across the trees/night sky really flowed nicely I still need to give these photos a little more TLC to clean up a few spots that have noise artifacts, but overall they came out pretty clean. Another shots, same spot with the camera panned out a bit and to the left. One more from that same spot! I drove down to a few other spots, got this one which I’m somewhat happy with, but it was starting to get late and the lights were fading so we opted to head home. All in all, this was the first time I’d gone out to shoot the Northern lights, really happy with the outcome. 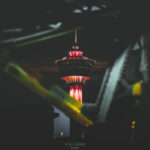 Thanks for following my blog and checking out my work, if you’re looking for artwork from a local Calgary Photographer check out my portfolios! I supply everything from framed prints to high quality canvases. 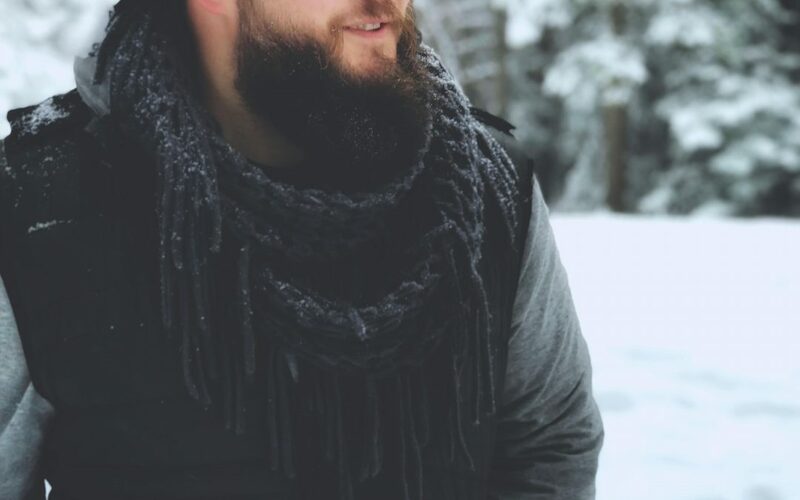 Trying to keep this blog rolling! Recently we hit up the Golden State for a weekend in Disneyland! I brought my gear along, although we stayed at one of the shadiest motels on the planet so I had to leave my gear locked up in the rental for a majority of the time, I wasn’t super keen on dragging it through Disneyland either. On our last day though, I knew I’d have some time to hit up Long Beach! I’d never been there before, we got a wicked place to stay and hit up the beach after a quick drive/visit through Hollywood. The girls wanted to suntan near the hotel, I wanted to get some shots under a boardwalk, so I dropped them off and hit up a grocery store for some beer (Canada should make this happen) and fresh fruit (we’d been eating crap the previous 3 days) and went on down to find a spot! I ended up picking my location pretty quick, but still had a solid hour and a bit before the sun was due to set so I drove around and scoped out a few other locations just in case my first spot could be topped, I didn’t really find much so I headed on back over to the first boardwalk. When I arrived (beer, gear, and fruit) in hand I came upon a couple doing shots, it was REALLY awkward, they were exactly where I wanted to shoot and were doing what appeared to be a planned photo shoot. He was only using a cell phone though and she was wearing heels and walking through the water as I roll up with all this gear in hand and parking myself right near them. I cracked a cold one open and waited for them to get done, they really just stopped, I could tell she was feeling a little insecure with me being there and I really did everything possible to not bring any attention to what they were doing or act like I cared. Shortly after though they just up and left, I’m not going to say for certain, but I think I ruined the guys day. Either way, I was stoked! In the quick packing adventure prior to the trip, I faithfully forgot to bring my tripod, so I was stuck having to innovate, using my bag as an unofficial stand. All in all I didn’t get EXACTLY what I had hoped for, the sun wasn’t where I was hoping it’d be, but overall I’m pretty happy. This first shot was closer just before the sun had fully set in the horizon, up top on the board walk there’s a slew of fisherman catching fish all afternoon, some had buckets filled! The sun had settled and I was under the boardwalk ready to capture the shot I wanted. I was really hoping to find an older style wooden boardwalk, I think it would have had a more natural look, but the thick cement pillars here really reflected the light nicely. 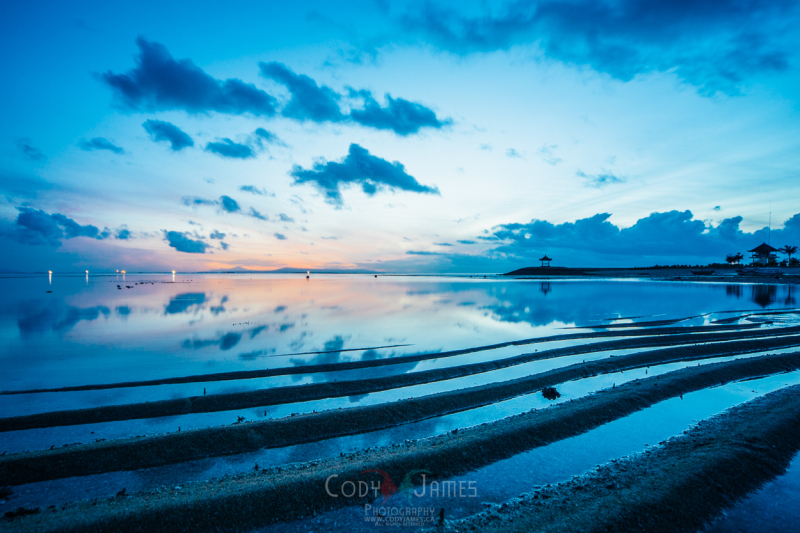 This is more during the ‘blue hour’ I threw on my gradient filter allowing the boardwalk structure to be exposed less (darker side up) and allowing more light to come through the water section allowing it to become silky smooth. If you’re a Calgary Photographer and want to meet up and collaborate sometime hit me up, I’m always down to learn and help out with others! 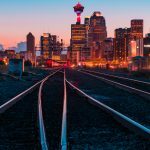 Check out my ‘Calgary Photographer’ page on Instagram, I’m going to be dropping some contests soon and announcing news about the upcoming Calgary Stampede Western Showcase! OH! And one more thing, just booked a trip for the weekend to Dallas in April! If you know of any hot spots in that town or cool things to capture, please hit me up and let me know. One last thing, www.albertaimaging.com has been redesigned and relaunched. If you’re in the market or know someone who is in the market for a Commercial photographer in Calgary or the surrounding areas, send them my way. Hey friends! I realized I’ve only dropped a sneak peak on here of Indonesia, although if you follow me on Instagram I did do a run of 30 shots from my Indonesia trip. Before we get to the photos, in Ubud (Bali) there was a canyoning trip you could do, on paper it seemed legit. 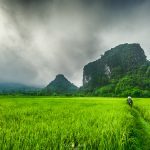 Cliff dives, rock water slides, rappelling, and trekking through canyons in the jungle, they really emphasized safety and all that good stuff so I was mixed on how crazy it would be. It was a little tame overall, but if you’re afraid of heights, it’d probably be quite the rush. Here’s a quick video of some of the stuff we did canyoning, our guides/trip were outta Adventure and Spirit Canyoning Bali :: Canyoning in Bali … – They definitely delivered on the fun factor and especially on the safety side. Their reviews on Trip Advisor Adventure and Spirit – TripAdvisor – Are well earned! 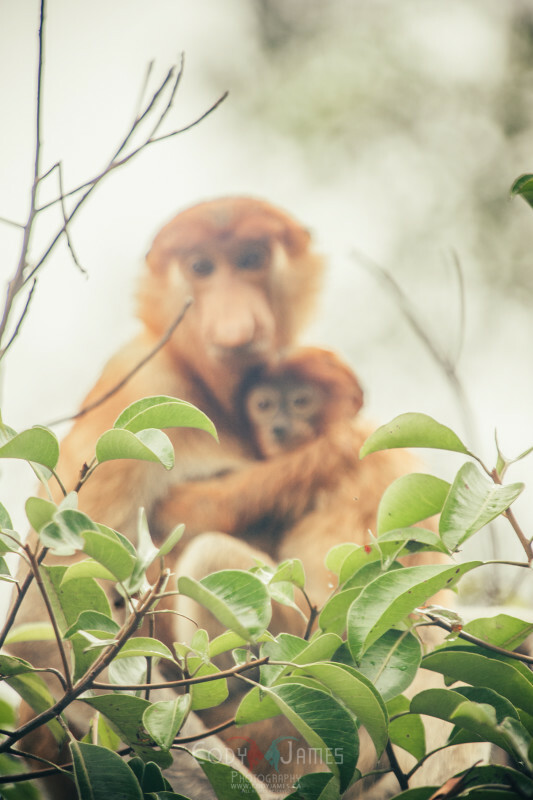 While on the boat touring through Borneo, there were groups of ‘Proboscis’ Monkeys hanging around. Most were up in the trees, and even by 70-200 with a 2.0 tele-converter it was still a stretch getting anything worthwhile. That is until I noticed last second that a mother and her baby were hovering above a branch that was hanging across the water (our boat was fast approaching) I ran over, grabbed my lens (still had the 70-200 on it) and snapped this picture as quick as possible. I feel like it’s truly ‘the one that got away’ I would have enjoyed it so much more if the mom and her baby were on focus, but as others have pointed out to me, it’s still a good shot, and some actually prefer having them blurred in the background like that. 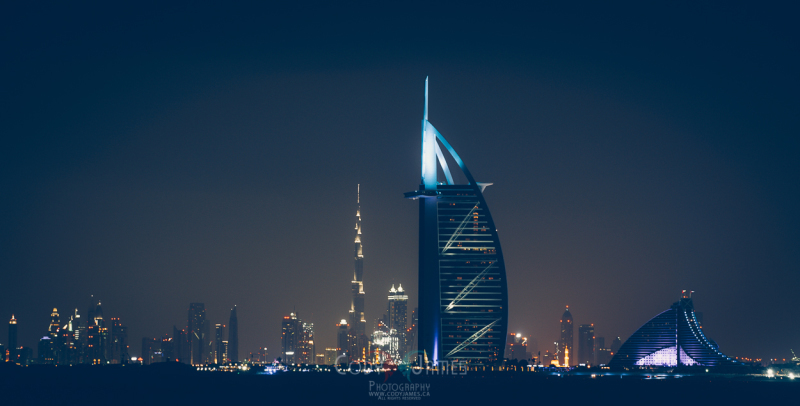 In Dubai, we were limited on time, I did my best to do some due diligence before hand in trying to map out some spots for photos, it didn’t pan out exactly as hoped, and both times coming through Dubai I was majorly sleep deprived, so I was driving on fumes. 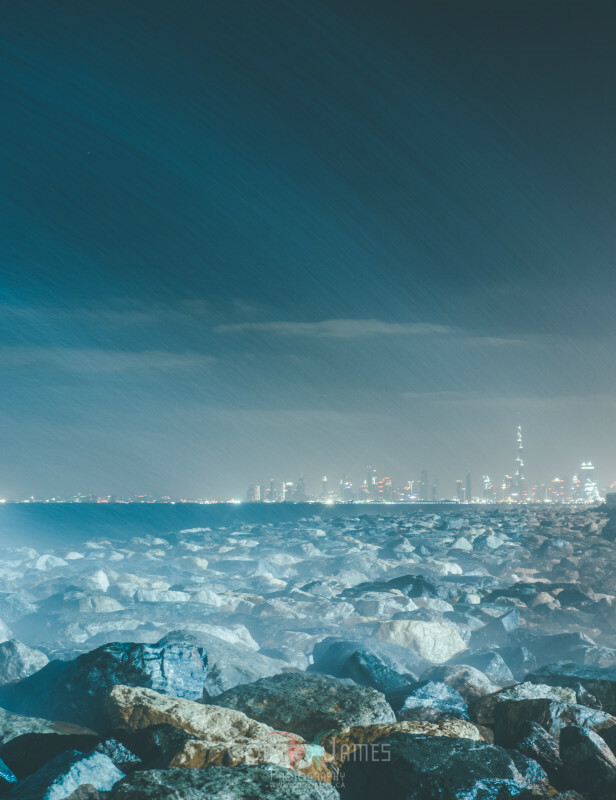 We were at the Palm Islands when I got this shot. I hopped over the sea wall, and crossed my fingers that no giant rogue waves would hit me, fortunately one did, but it misted and dispersed pretty quick, and came right over top of me on the best angle you could ask for. That resulted in this picture! So this picture (without the story) on paper just looks like a whole lot of nothing really. On our first night in Borneo, we docked in front of a bunch of trees, including a giant palm tree that was FILLED with fireflies. I hadn’t seen this since I was really young and was really looking forward to this part of the trip. We had an unexpected dinner lit by candle light as we watched them endlessly fly around lighting up the forest. 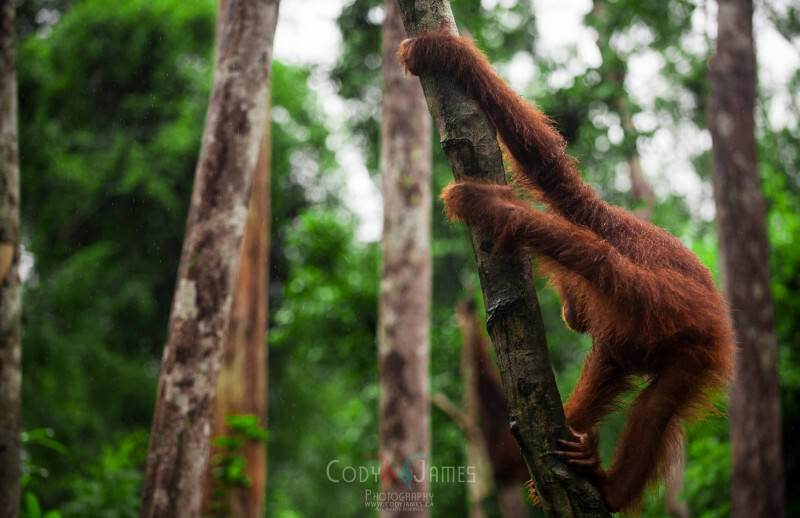 One of the first spots we stopped at to observe the Orangutans gave us the true definition of ‘rain forest’ we went from clear skies, to pouring rain in a matter of minutes, it was eerie just how quickly the skies turned and rain started coming down. 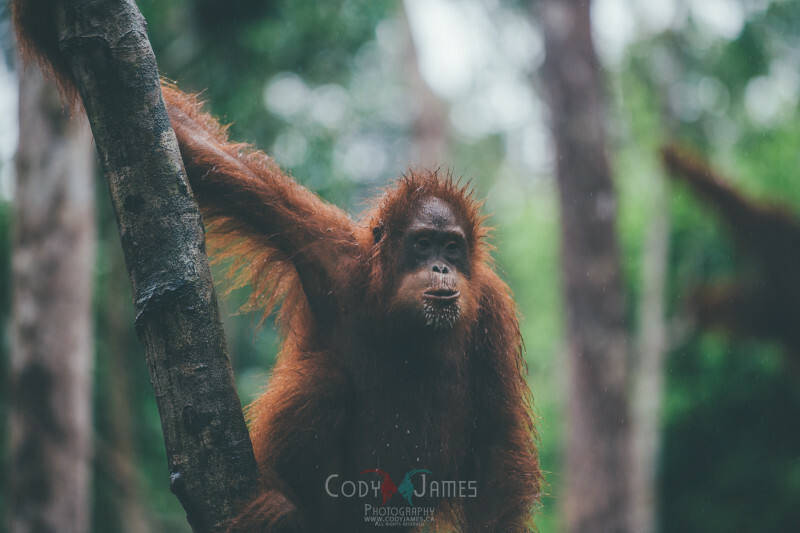 Fortunately I brought a rain jacket and saved us from being drenched 😉 the Orangutans weren’t so lucky though, they waited patiently in the trees for the alpha male to finish eating, they didn’t dare approach or go to eat until he was finished and had left the area. Some younger males would actually break giant tree branches off and throw them trying to spook him away, we actually saw a lady get smoked by a giant branch, luckily only hitting her arm/hand, I really think if it had hit her head she could have died or easily been KO’d! I actually warned a bunch of people prior because he was defecating in that same spot (from above) and one ladies umbrella got introduced to a whole load of it, funny enough she proclaimed how ‘lucky’ she was and that it was good luck to have that happen, I didn’t share the same sentiment and kept my distance from him. Once I saw him breaking branches though I called out (only 15-20 feet away) and people were oblivious, then she got hit, and everyone learned a valuable lesson. A big mouth full of milk as a rain soaked Orangutan gets his share. If you look to the right of the image, that brown blob there is actually the alpha male making his departure. Atlas. That’s this little gentleman’s name. He was a highlight of the entire trip. We docked our second night near a base camp where the Orangutans hung out, our guide had kinda poked fun at us for getting up so early the morning before (5-6am) but we were on odd sleep schedules trying to regulate, so he suggested we sleep in a little if possible as we rock the boat when were awake (mainly me walking around taking pictures) We woke up and see this guy, and our crew and the boat beside us engaging this little fella! All I could think was “HOW COULD YOU NOT WAKE US UP!! !” Fortunately they had only been up themselves for a few minutes and we got to spend the entire morning observing and engaging Atlas up close and personal. In Ubud there lies a place called ‘the sacred monkey forest‘ it’s a pretty special spot, very lush, beautiful, and contains SWARMS of Macaques. 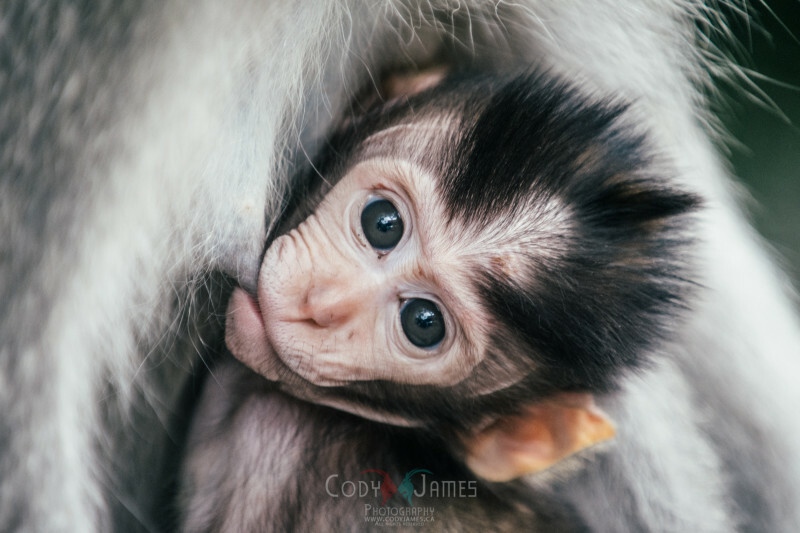 These monkeys are curious, bold, and have no understanding of personal space. If you’re afraid of monkeys, don’t go there, if you like monkeys or interacting with them, it’s a must see. 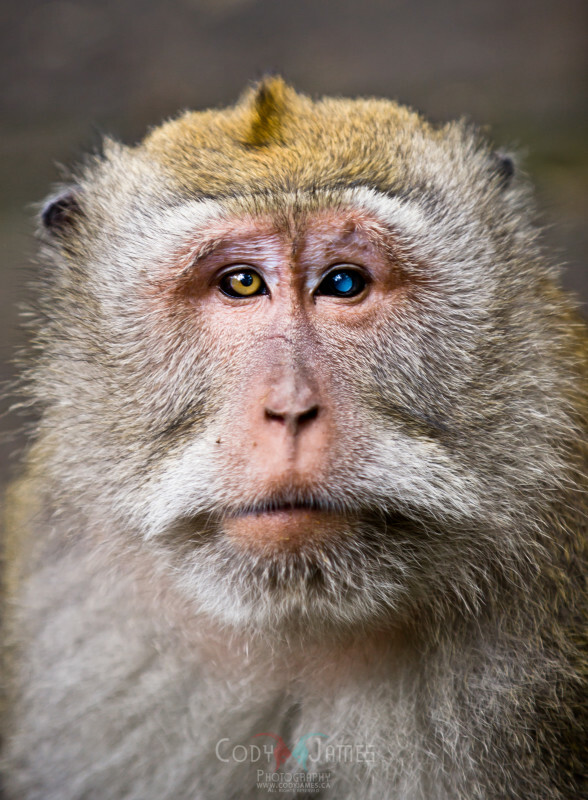 This image is of one of the older males, it looks like his eye has been scarred (most likely from a fight) their populations have boomed in the last twenty years here. 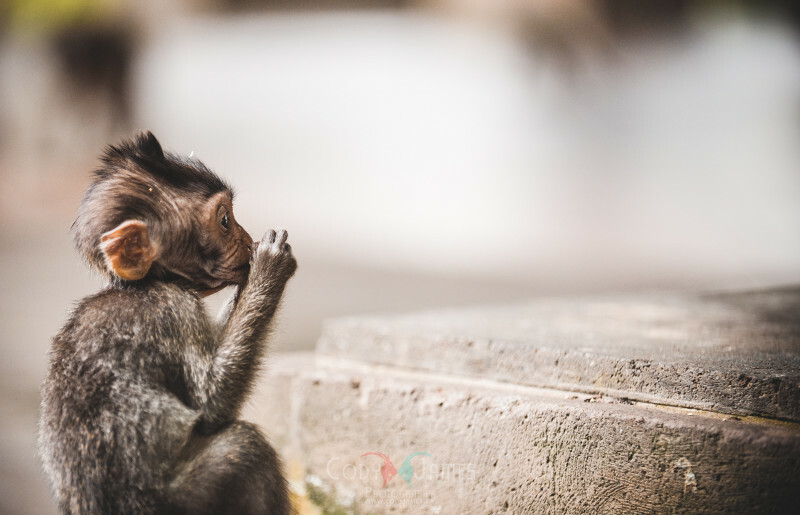 An infant Macaque, he really looks like a little old man drinking a sip of coffee. 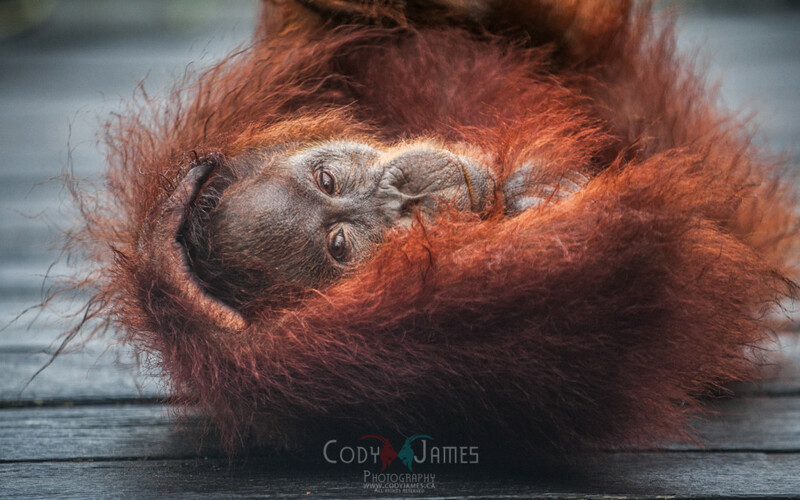 Last but not least, another infant feeding while his mom carries him around! That’s all for now! Lifes been really busy, still lots of renovations going on, I’ve launched www.renovatecalgary.com as well as www.thecalgarylandscapers.com both sites will be leased out to clients hopefully in the near future. Getting married in November! We’re doing a destination wedding in the Bahamas and have tons of friends and family going, it’s going to be a blast and of course I’ll be bringing my camera gear. I’m also headed off to California this weekend. It’s a short trip Fri-Sun mainly just to go to Disneyland 🙂 I’ll be bringing my gear though in hopes of getting some shots at the park, as well as some sunset/sunrise shots at the beach! I did a shoot the Liquor depot, my commercial photography is continuing to grow and garner interest – you can check out that work here, or at www.albertaimaging.com which I recently redesigned/relaunched! Stay tuned for more updates from San Fransisco, my upcoming trip, tons more from Indonesia, a few more wedding shots, and much more! If you’re looking for a reliable photographer in Calgary who doesn’t gouge with print fees, disc fees, and all that other jazz, connect with me today for a quote on your big special wedding day, destination wedding trip, commercial photography, or prints to furnish your home or business! 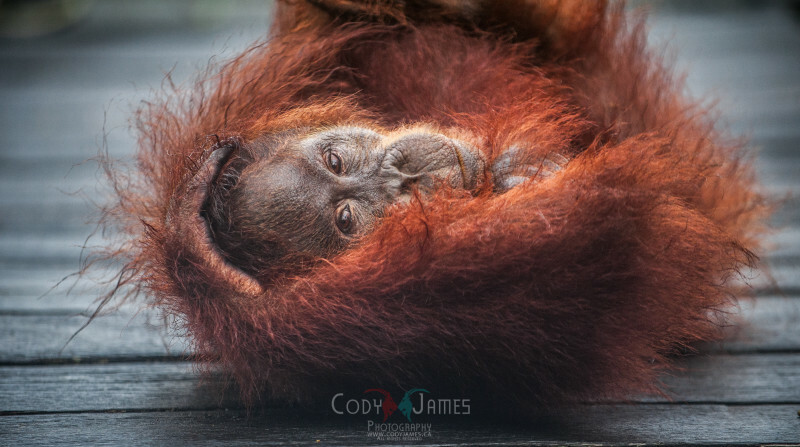 Back in one piece from Indonesia, it was a really incredible trip, I learned a lot about the country, the people, their ecosystem, Orangutans, and so much more, it was a really rewarding trip all around and I’m excited to share some small pieces of it. In a small time crunch at the moment, because I really want to get in depth on a few things (like the destruction of the Borneo rain forest) and how devastating this is to our planet, to the beautiful animals and life it houses, and how wreckless we as humans can really be with what we’ve been given, but I’ll save that for a later post! For now here’s a small sample of shots from Indonesia, including one from a stopover in Dubai! 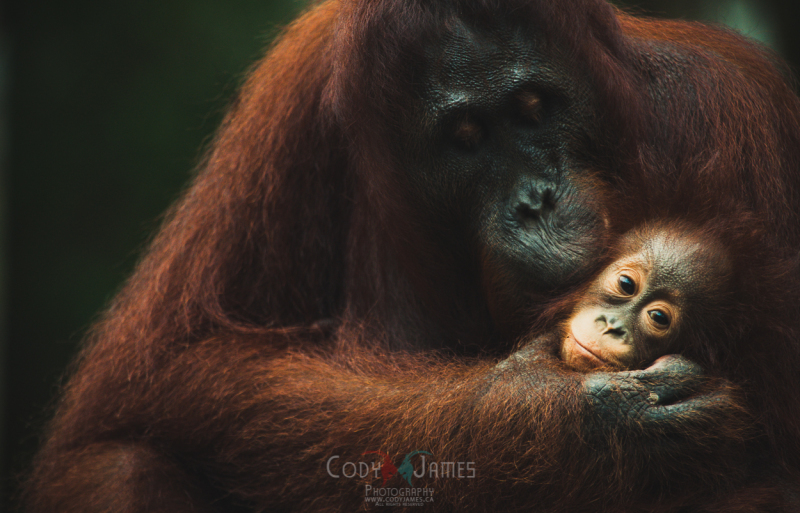 This first shot was the first Orangutans we encountered on the trip, this mom held her little baby boy at the dock and waited for boats to arrive to Camp Leakey. 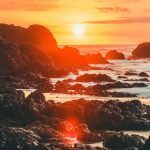 A sunset in Bali, the lights to the left are actually fisherman way out in the shallow (low tide) waters fishing with nets. 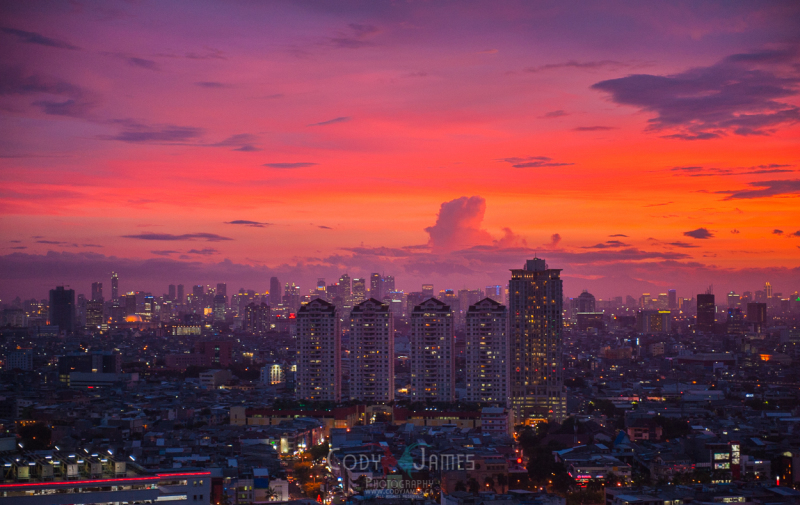 One of the best sunsets I’ve ever experienced in my life, in the big bustling city of Jakarta. 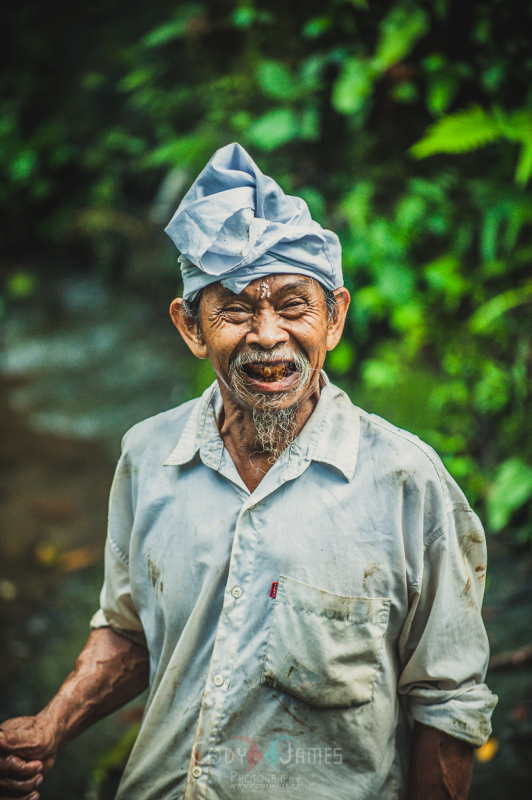 A friendly worker at a temple near Ubud, Bali. He took me around a small path to reveal a giant statue that had fallen over. Finally a little taste of Dubai and this giant city of concrete skyscrapers!